Lisa Mays is an aspiring registered dietitian who has a passion for policy and the ways which legislation affects nutrition and health. 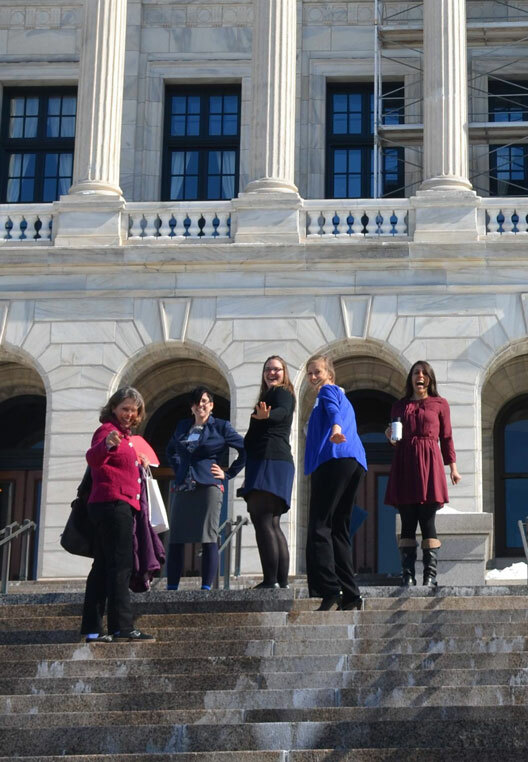 This year, she was a key member of the planning team for the Minnesota Academy of Nutrition and Dietetics (MAND) Day at the Capitol. Lisa was busy arranging legislative visits for members, planning a short training program in advocacy skills, and organizing the MAND public policy monthly calls. She also attended this year’s national Academy of Nutrition and Dietetics Public Policy Workshop in Washington, DC, where she was able to strengthen her advocacy skills among colleagues and also provide information to legislators regarding the Treat and Reduce Obesity Act, among others. Lisa is also actively involved in the develop of policy. When the Hennepin County Commissioners asked Dr Jamie Stang to work with them to identify alternative strategies for providing and funding food assistance programs to underserved communities in Minnesota, she immediately recruited Lisa to become involved in the project. Lisa was instrumental in developing the research questions and methods to investigate the barriers and facilitators to food shelf use in Hennepin County, which served as a formative assessment for the development of new recommendations. Lisa also researched national programs using innovative solutions to address food insecurity. Additionally, she performed interviews with those working with food banks and shelves, as well as the users and qualified non-users of these services to gain a better understanding of specific local needs. The final set of recommendations was presented to the County Commissioners in fall 2013 and the group (including Lisa) was invited to present at a public forum in March 2014 which was attended by more than 100 people. Currently, Lisa is working with the Minnesota Department of Public Health’s WIC office to analyze how retail characteristics affect redemption of the program’s fruit and vegetable vouchers. This project utilizes GIS, qualitative and quantitative methods to examine characteristics such as store type, size, and local environment affect full or partial redemption of the benefit, and seeks to provide recommendations for increasing full utilization. Before returning to school to pursue her career in nutrition, Lisa worked in advertising, marketing, and sales, including management of national sales for a successful photography gallery. She decided to pursue a career in public health nutrition to apply her communication skills and competitive nature to improving food access and quality for persons with low-income.